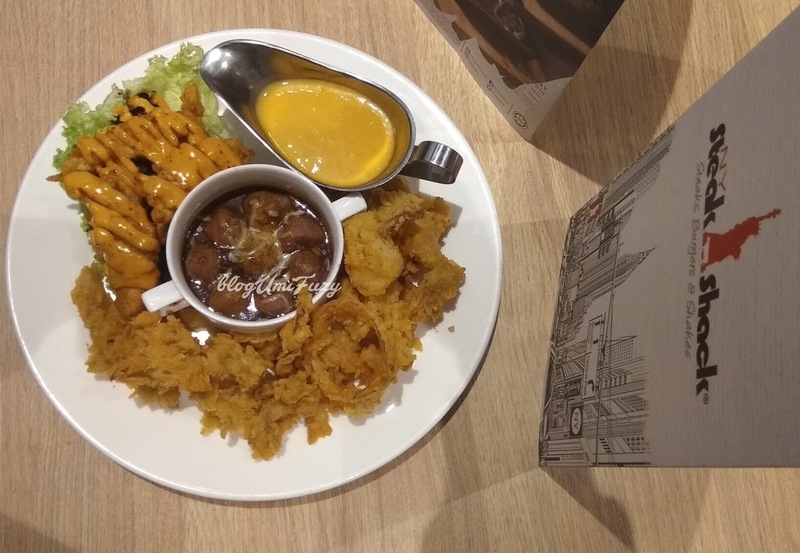 The new revamped menu of almost 60% was made new to give fresh new look and sizzling new sensation to keep you wanting to come more often yet a few classic favorite are still available. 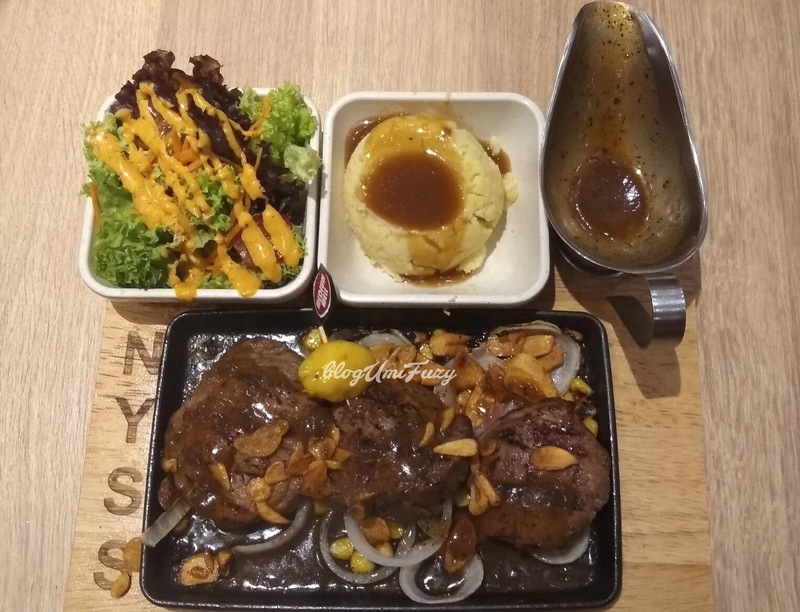 Seriously love all of these, the meat is soft and succulent, cooked with olive oil and the combination of the black pepper sauce is superb, well surely because of the pepper is from Sarawak! the well known for their best and quality pepper. Talking bout the duck meat that is so juicy and tender and that doesn't smell like duck and for those who dislike duck, should try this out and you will want to have it again in the next visit. The size of the burger is so huge for your to bite..hehe. 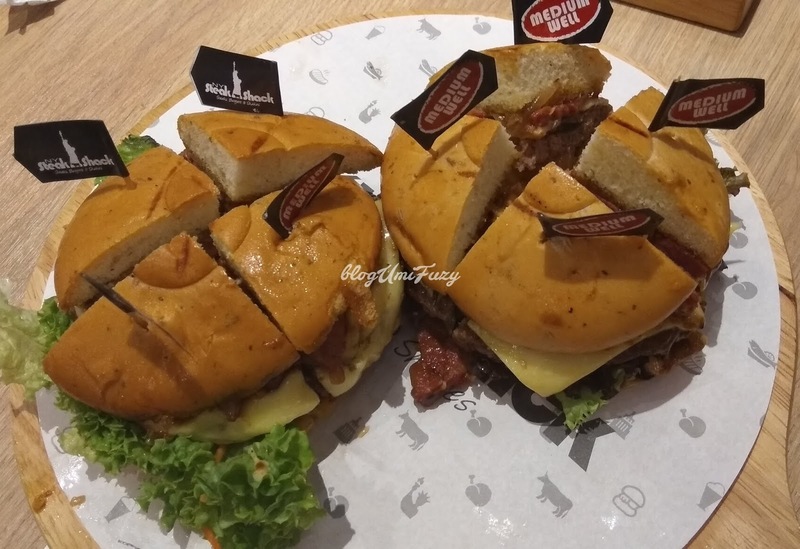 The chargrilled beef patty is topped with cheddar cheese and sauted smoked beef, caramalized onions, chili flakes is really make you empty stomach filled up. A must try dishes that I highly recommend will be Chicken Tenders - hand breaded chicken strips, fried crispy to perfection and drizzled with Bistro sauce, Sriracha Chicken Sandwich - fried chicken breast with homestyle batter and smothered in Sriracha sauce with cheddar cheese and Duck Chop Pasta - grilled savoury duck chop slices complementing linguine past sautéed with caramelized onions, mushrooms and brown sauce. For seafood lover, do not miss the Seafood Board - combo of fish fillet with four pieces of shrimps and four pieces of calamari served with salad, fries and tartar sauce, and Sizzling Emerald Fish Combo which comprises of four different combos where you can pair your Emerald Fish with Lamb Cevapi, Chicken Cevapi, Garlic Shrimps or Smoked Beef. 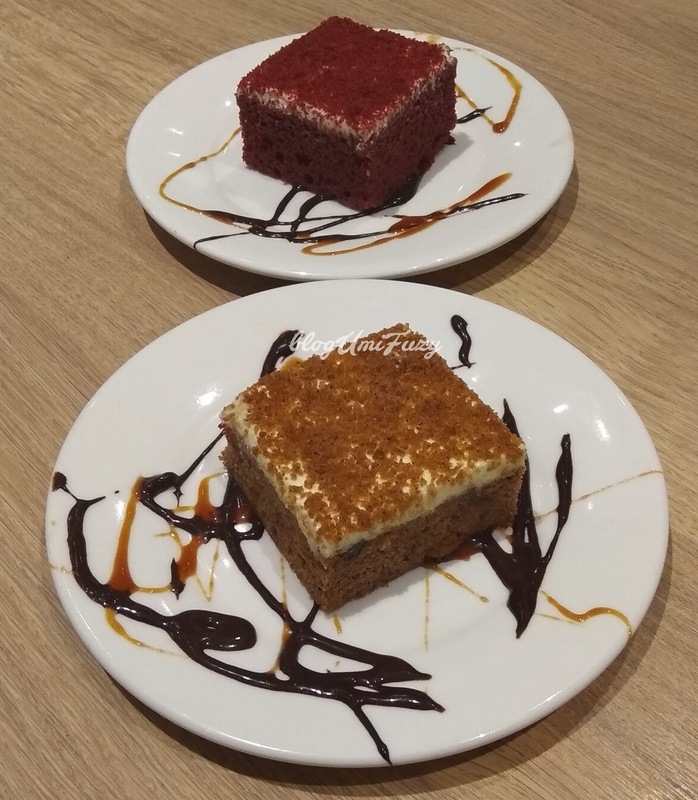 Before we end the day, don't forget to try their dessert, Red Velvet cake or Carrot Cake what is your favorite? Both are so damn delicious and recommended highly. "Our team is always on-the-go to think of how to cater to what's best proud of the final outcomes. After rounds of testing and due to the great response and high demand, we have also incorporated some dishes from our limited-time offerings from the past seven months in this new menu"
"Sixty percent of the items in this menu are new and were are truly proud of the final outcomes. 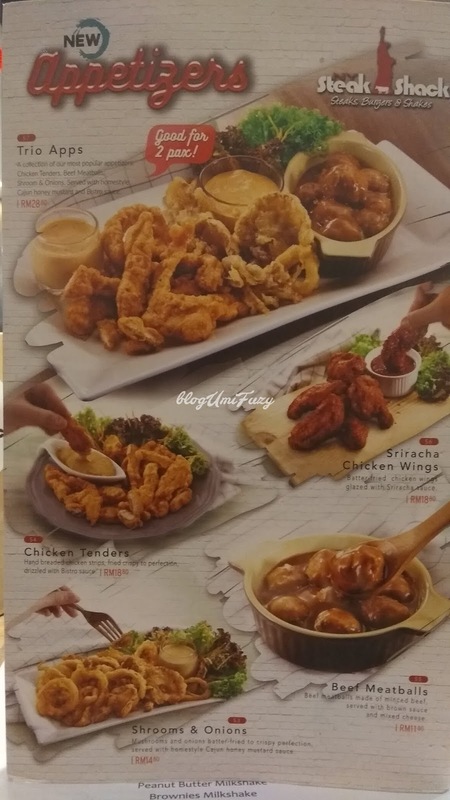 After rounds of testing and due to the great response and high demand, we have also incorporated some dishes from our limited-time offerings from the past seven months in this new menu"
Wanna eat FREE meal for a year? 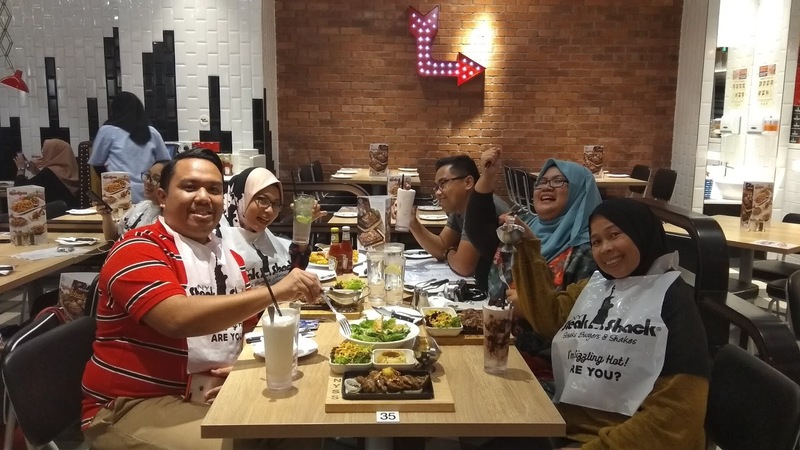 NY Steak Shack will be having its Wagyu Steak Eating Challenge for the very first time ever starting from now until 30 November 2018. 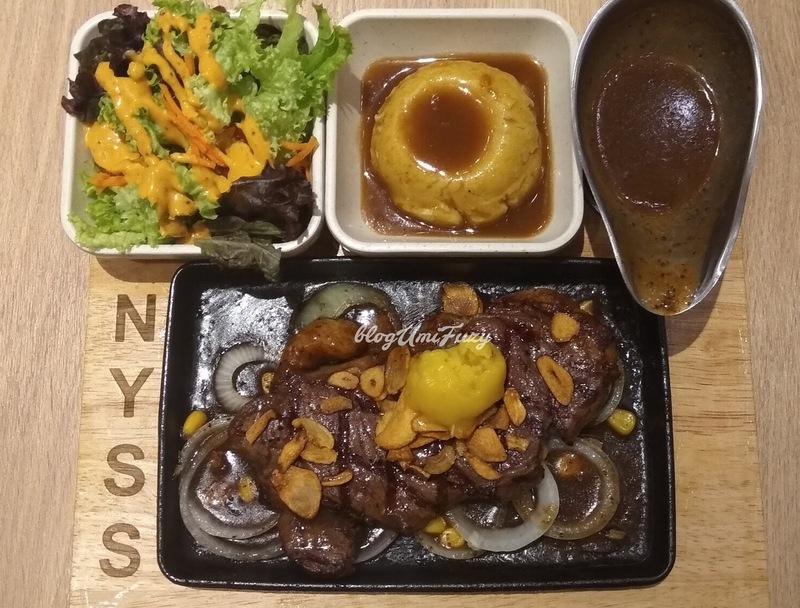 Its so easy to participate as as any customers who order wagyu steak at ANY NY Steak Shack outlets are eligible to enter as they will be given a form to register themselves for this exciting steak-eating showdown. So wish you luck and who know you might the lucky ONE winner! NY Steak Shack was created out of the aspiration to offer AFFORDABLE steaks to consumers, as opposed to restaurants specializing in serving steaks which describe themselves as "steakhouses" and are therefore perceived as PREMIUM. Often regarded as the epicenter of America's multiculturalism, New York City is home to hundreds of different cultures which makes the city so lively and special. Historically, New York was the entrance way for man y to America. Being the world's largest cultural melting pot, NY York City is well-known for its variety of ethnic cuisines, great restaurants, and the ability to find any kind of food at any hour of the day. Given the vast array of food choices, we took food beyond expectation sin the way it TASTES in ambience that is inspired by NY City. 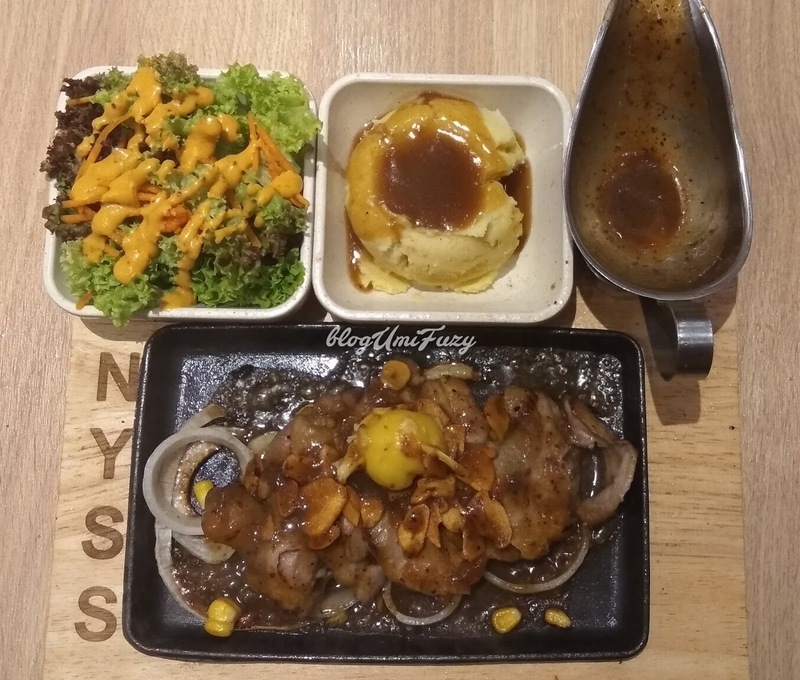 Serving a variety of affordable sizzling sensations - steaks (beef, lamb, poultry, fish), burgers, pasta and platters freshly made to order, diners can grab their all-time favorites - simple yet tasty food at NY Steak Shack. We minimize using prepared foods. We craft as much as we can in our own kitchen. It takes more TIME and EFFORT, but you can taste the difference! Every cut of meat, vegetables, herbs and spices is served in the very best of QUALITY possible. Affordable prices with great culinary experiences. 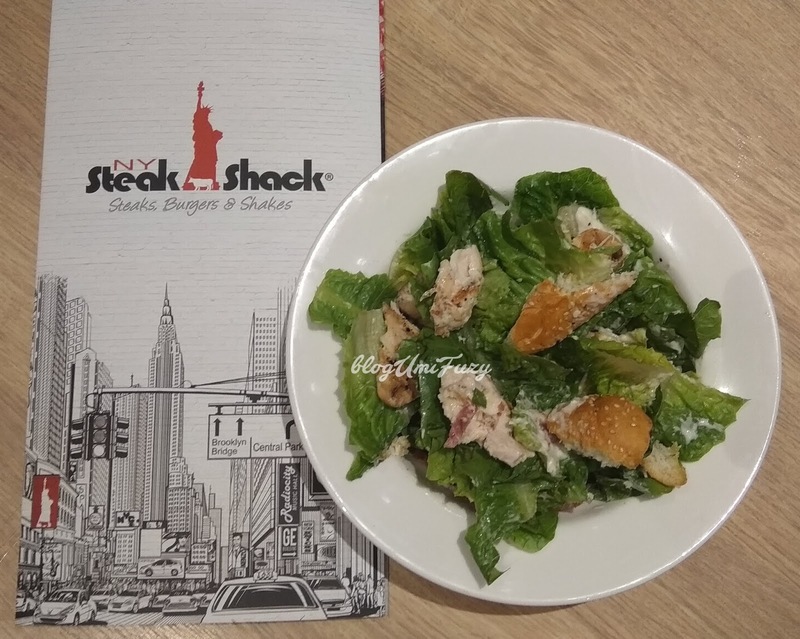 At NY Steak Shack, whatever your mood or taste may be, we'll definitely have something to offer for a culinary experience that'll have you coming back for more! We promise you it will be a meal to remember. You can be sure of that! 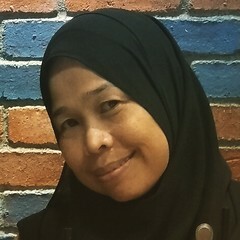 Sedap-sedap semuanya.. Utk tahun ni, rasa belum pergi makan lagi NY steak shack ni... Last mkn tahun lepas..kekeke... Nampak gayanya kene singgah la ni..